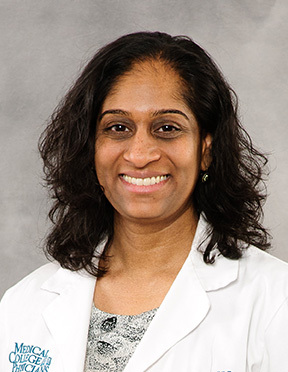 Dr. Seema Menon joined the Department of Obstetrics and Gynecology at the Medical College of Wisconsin as an Assistant Professor in January, 2010. She graduated from Wayne State University School of Medicine with a Doctorate of Medicine in 2001. She received her medical degree from Wayne State University School of Medicine in 2001 and then completed her internship and residency at Pennsylvania Hospital- University of Pennsylvania Health System from 2001 to 2005. Dr. Menon’s clinical area of interest is pediatric and adolescent gynecology. She has developed clinics devoted to caring for young females with complex gynecologic issues. Her adult clinical practice involves medical and/or surgical management of menorrhagia, dysmenorrhea, chronic pelvic pain, endometriosis, amenorrhea, polycystic ovarian syndrome, abnormal cervical cytology, sexually transmitted infections, as well as normal obstetrics. Dr. Menon’s research area primarily focuses on adolescent gynecology. She has presented her work at both regional and national meetings. Awards and honors include an annual award of the Medical Student Teaching Award at Pennsylvania Hospital in 2003, 2004 and 2005 and the semiannual award of Ob-Gyn Excellence in Teaching Award at Pennsylvania Hospital in 2004. She also received the Bachelor of Science with Honors and was awarded the Senior Thesis, Honors Distinction from the University of Michigan in 1996. Dr. Menon recieved the MCW Outstanding Medical Student Teacher Award for 2015-2016.